Tips for Building a Garage that Shows Off Your Inner "Car-Nut" | McKee-Horrigan Inc.
Are you a fan of shows like “Top Gear”, or do you watch hours of the Speed channel? Do you love street racing movies or find yourself watching Formula One championships? If you answered ‘yes’ to any of these, you may indeed be a “car-nut”. There’s a good chance that it’s an interest that started years ago, perhaps as a kid, collecting Hot Wheels or model cars as a hobby. Now you’re grown up. 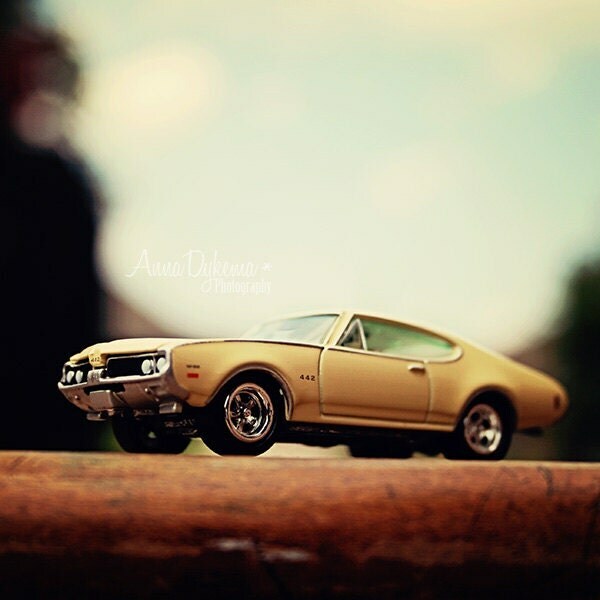 The hours you’d spend with your miniature cars back in the day have been replaced with other adult responsibilities. Fortunately, you can keep your passion alive by building a garage that shows off your inner car enthusiast. It will take some work, but it’s a doable task if you’re willing to follow through. One of the first things to consider is the modification of your residential garage doors. Apart from this first step, there are some other factors that may need your attention. With that said, there is no right or wrong way as to how your garage will appear. How you want it to look is all that matters. Imagine if a major auto company decided to build a car without a design or blueprint. The production would turn chaotic as soon as it begun. The same can happen if you decide to build a car garage without a plan. Therefore, that should be your starting point. These details may vary, but there are some considerations that will apply to all of these jobs. – Flooring – Garage floors are among the dirtiest surfaces known (not an exaggeration! ), and you don’t want it to turn into a nuisance later. Oil stains may require a mild acid solution to clean them up, clogged drains may require the cleaning power of a drain opener. 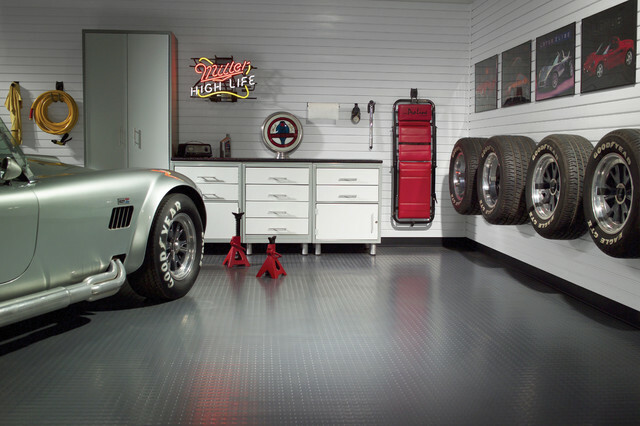 You may even opt to redo the flooring to create an automotive theme. Remember, however, that the costs can be high, so you’ll want to keep your budget in mind. – Walls and Windows – In addition to design, windows are essential for lighting and ventilation purposes. There’s no point in building a garage that’s too cold or too hot, too bright or too dark. In addition to the windows, the demands of a car enthusiasts’ garage may require electrical rewiring. New walls may also turn into a necessary affair if you wish to change your plumbing. – Doors – Now this part is important. Your residential garage doors may need tweaks, repairs, or replacement depending on what you envision for this project. Aside from appearance issues, fixing your doors may improve fire safety and functionality so that your remodelling efforts aren’t in vain. Whatever you do, don’t put it off as something you can fix in the future! Of course, design is the other element that makes a car-nut’s garage a success. You shouldn’t let repairs completely trump the style you’re going for. Striving for a balance of functionality and aesthetics should be your end goal. With that said, it’s wise to look at a few sources of inspiration before you get started. – Social Media – See, building a car garage is the perfect excuse to spend some extra time using social media sites! 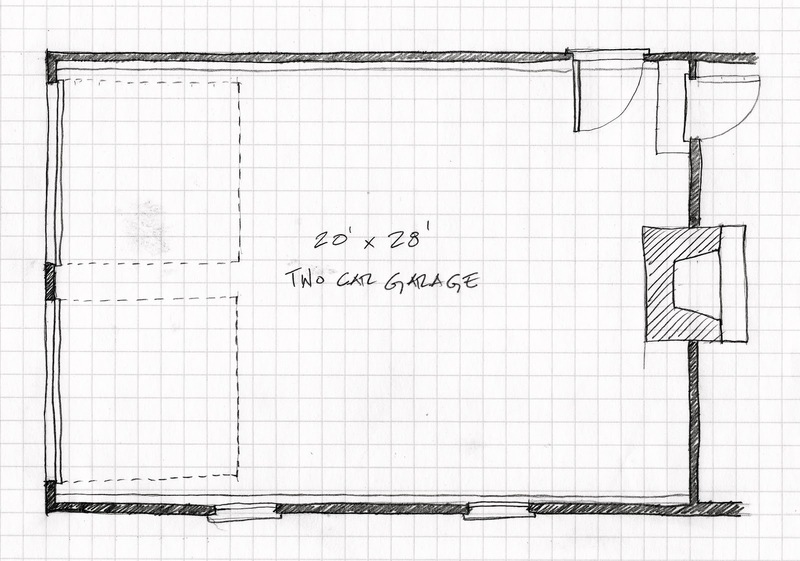 Pinterest, Instagram, and Flickr can give you a ton of examples that you can reference when designing your own garage. Even a car blog might expose you to some great ideas that you might want to try. – T.V. – The next time you tune into your favourite car show, pay attention to the settings on display (if the program features a garage, that is). There’s bound to be a few sights that catch your eye, and may have a place in your newly remodelled garage. – Local Garages and Neighbours – If you’re tired of staying indoors, then take a walk or drive to your nearest auto garage. A benefit of a physical visit is the opportunity to speak with auto experts. You can always ask them questions about how to set things up, and you may even coax them into giving you some construction tips! Once you’ve got the prep work in order, it’s time to get the project started. This may seem like the most daunting part. You will want to focus on the ‘base’ level of things, addressing tasks such as the electrical wiring and ventilation aspects mentioned earlier, in addition to other tasks such as blocking and framing. Step-by-step guides exist in the form of written instructions, diagrams, and videos, so there’s no need to feel alone while the project is underway. Now, if you’re completely stumped, are hanging on the fence, or want things to turn out perfectly, you’ll want to enlist some outside help. In other words, hire a technician! Projects involving residential garage doors can turn into a complicated job that may be challenging and risky, and thus require professional assistance. This very reason renders the DIY route as a bad path for many people. If you don’t have the utmost confidence in your skills, then you’re better off working with a certified pro who has experience with garage door installation and remodelling. It’s a decision that may save you a ton of cash and unnecessary injury. So what look are you after? Do you have a thing for “retro”, perhaps a love for the muscle cars of the 70s? Or are you a fan of modern luxury rides? Whatever your interests, you should emerge victorious with a remodelled garage that you’re proud of. That will certainly depend on the hands involved with the task and your discipline when it comes to sticking with a budget. As mentioned in the previous section, it’s wise to seek the services of a technician when dealing with residential garage doors. They can help make the project run smoothly and can also contribute to your ideas so that you achieve the look you’re after. There will be hard work and it will take some time. However, a little persistence will carry you through, until your garage satisfies your car-admiring mind. Need help for a major remodelling project? Get in touch with one of our technicians who have experience with residential garage doors today!